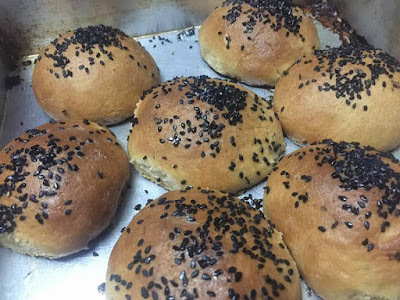 This is Traditional buns in Iran. 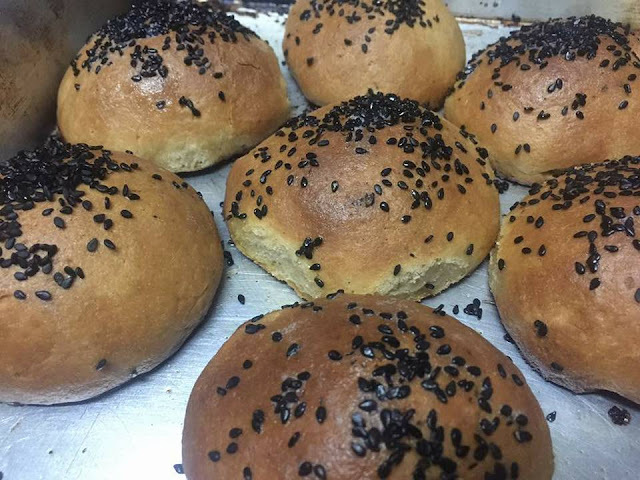 this broon is very popular in Irani cafes and bakeries in Mumbai. .
As kids, this was our favorite bread for breakfast.In mumbai language we called ‘ Mhaska Pav’ . Slathered with butter, we dunked it into our cup of milk, satisfied and full, we went off to school. today my planing to make Mutton Payya and This bread makes a great accompaniment for this curry. Mix together all-purpose flour, salt, sugar, 4 tbsp butter, yeast and 1 egg with sufficient WARM milk to form a sticky dough. Keep the dough in an oiled bowl. Cover bowl with a cloth and keep bowl in a dark warm place for at least 1 hour for fermentation. After 1 hour you will see the dough has doubled in size. Divide dough into 8 portions and form balls. After 45 mins you will see the breads have increased in size. Preheat oven at 425 deg F (225 deg C). Brush the top of breads with egg and milk mixture and sprinkle black or white ( as per your wish ) sesame seeds over it. Bake for 8-10 mins till top of breads turn nice and brown.